Over the past five years we have been helping asset owners and real estate developers with their various coworking projects. Some of these have been at the early stage, conducting feasibility assessments to get to a go/no-go decision, while others have been turnkey projects. Turnkey projects are more or less like a white label service, where a property owner has some space and a vision and we help them get to the finish line. These projects are particularly satisfying. We have also been fortunate to have clients in various parts of the world (US, Central America, Caribbean. Africa, Asia, Middle East), which makes the work both fun and educational. Our business, OpenWork Agency, is something that we are quite proud of. We continue to take on new clients and explore new aspects of coworking on the real estate side of the business. However, when we started this journey in the back room of Conjunctured many years ago, we set out to work as culture architects with companies that might be interested in embracing coworking as a change platform. We were, as the saying goes, 15 minutes early. 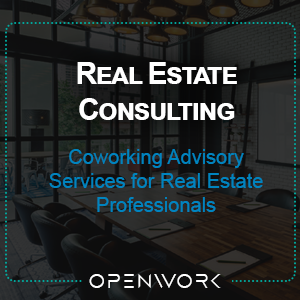 We have frequently spoken about our corporate culture consulting process on our site (and at conferences, etc), but the enthusiasm (about coworking) among real estate professionals got our attention and won the day. Throughout the past five years we have been two businesses in one- one a real estate consultancy and the other a culture consultancy. This has muddled our message and confused visitors. Last week we made the executive decision to separate the two lines of business into…two businesses. OpenWork.agency will remain our real estate practice. 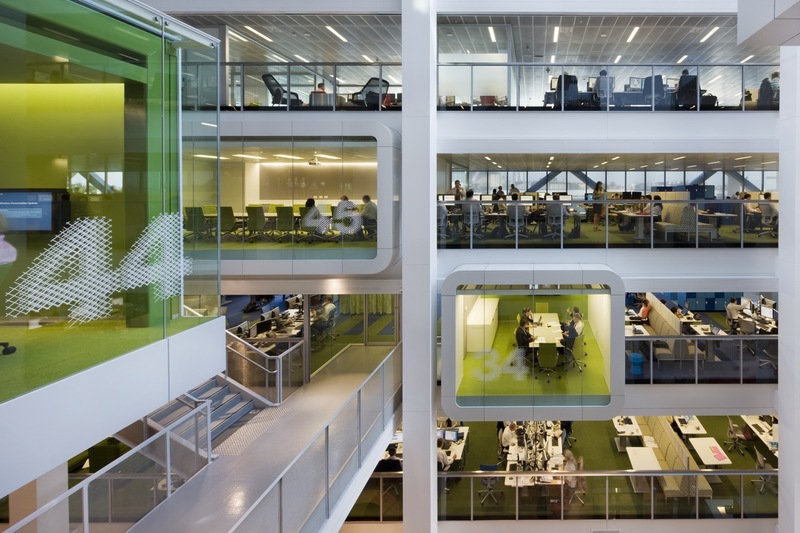 And OpenWork.designwill be our corporate culture consulting practice. The Venn diagram overlap between the two businesses, of course, is coworking. But the contexts, methods, and processes are quite different. With the success of WeWork’s enterprise practice, it is clear that large firms now are buying into coworking. Some of this adoption is purely for real estate reasons, while other firms are embracing it as part of their culture change journey. This is the space into which OpenWork.design fits. Driven by our 20 plus years experience in organizational science (OB, Culture, Corporate Strategy, HRD, etc), we are putting our flag in that sand. As a kick-off thought piece, we’ve put a short whitepaper- Why Coworking Works: Lessons for HR Managers– on our site for those who might be interested in what we are thinking as we get started. We’d love to hear from you. Till then, have a great Wednesday! Corporate Coworking: On Campus or 3rd Party?